Lots of dog lovers today are interested in feeding their dogs a raw food diet. If you’ve looked into making a raw food diet yourself you probably already know that it’s not always easy to buy the meat and other ingredients in large quantities, store them at home, balance the meals, much less find time to put together meals for your dog. If you’re buying meat in bulk, you may have to do some cutting or grinding. The whole process can be time consuming. Many people set aside one day a week to make meals for their dog to last a week or two. As an alternative, you can buy raw dog food that is already prepared. Companies that sell raw dog food diets sell it in a range of formats such as dehydrated, freeze-dried, and frozen. You can often find these foods in the refrigerated/frozen section of pet stores today or they are available online. Some grocery stores even carry them. Bil-Jac – a raw frozen food – has been available in many grocery stores for years but today this dog food niche has exploded with many different choices. Some frozen raw dog foods are made by the same companies that make well-known kibbles such as Nature’s Variety. Their Instinct Raw line of foods features raw frozen diets in a variety of formats. They have foods that are in bites, small bites, patties, and medallions. They also have some kibble with freeze-dried raw such as their Instinct Raw Boost formula which comes in lots of different food styles. Primal, Steve’s Real Food for Dogs, Bravo, Darwin’s, BARFWorld, K-9 Kraving, Pets 4 Life Pet Cuisine, Raw Bistro and Stella & Chewy’s all offer complete and balanced raw frozen food. Many of these companies also offer mixes and pre-mixes to go with raw foods so you can mix your own diet for your dog. There are plenty of other companies that sell frozen raw dog food but we have heard good things about these companies from people who have used their foods. Not everyone likes frozen raw dog food. Dr. Wysong, who sells his own line of dog foods, has attacked frozen raw foods. You can read his argument here in “The Case Against Raw Frozen Pet Foods.” He argues that frozen raw pet foods are prone to bacteria and their manufacturers have little oversight, among other things. Dr. Wysong’s argument against frozen raw pet foods has been rebutted by Steve’s Real Food and you can read the company’s thoughtful response on this site. Anyone interested in feeding frozen raw food should look at these pros and cons of feeding frozen raw. Dr. Wysong makes some good points, though many of his points seem to be a little far-fetched. Steve’s does a good job of explaining how their company and other good quality frozen raw companies make their foods. Look for a manufacturer that is transparent about where their food is produced, where it is warehoused, how it is distributed, and where their ingredients are sourced. Look for a manufacturer that has good quality control measures and testing procedures for bacteria. Look for a company that works with an animal nutritionist to formulate their foods. Some companies use high pressure processing (HPP) to kill bacteria in raw food. This is a non-thermal process (no cooking) but it does alter the food so some people who feed raw don’t like it. You can read more about it here. If you decide to use frozen raw dog food, be sure to follow the company’s recommendations for feeding the food, thawing, and transitioning your dog to the new diet. For example, Primal discusses the transition period in detail and describes it as “the most essential element of a healthy and safe change from dry kibble or canned wet food to a raw diet.” They recommend a slow transition, allowing at least a week to let your dog’s digestive system adjust from the highly processed diet he’s been eating to eating a new, human grade raw food diet. Frozen raw food should only be served to your dog when it has been completely thawed. As with most, if not all, frozen raw food manufacturers, Primal suggests that you do not microwave or heat the food to thaw it. According to Primal, using a microwave can cause the fat molecules in the food to change radically and make them less digestible. They say that this can ultimately become harmful to your dog’s long-term health. Frozen raw dog food is typically thawed by placing it in the refrigerator to thaw slowly; or you can thaw a bag of frozen raw nuggets or patties in cold water in your kitchen sink in about 30 minutes. A 2-lb or 5-lb frozen raw chub can be thawed in cold water in your sink in about two hours. Safe handling is important with all raw foods. Keep frozen raw foods frozen until you are ready to use them. Follow the recommended instructions for safe thawing. When removing portions of frozen raw food from the freezer for thawing, return the remaining frozen raw food to the freezer immediately. Consider using different colored sponges in the kitchen so you have one designated for your pet’s dishes and bowls. 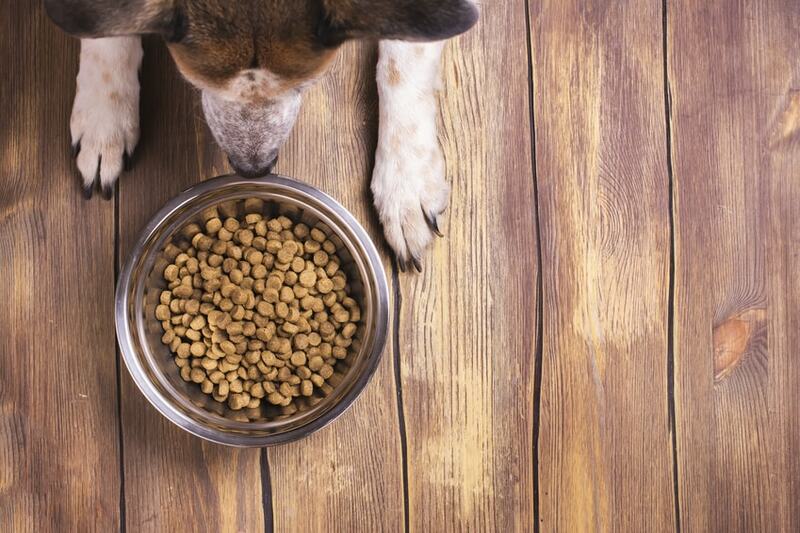 We should mention that the FDA and the AVMA are not fans of raw dog food but that hasn’t stopped this pet food category from growing rapidly.